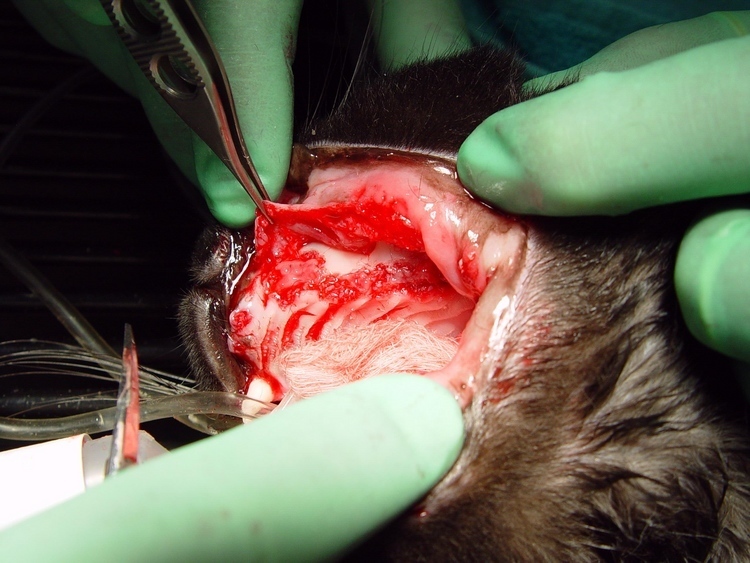 Reconstructive dental surgeons are always looking for ways that will accelerate the healing process and maximize the regenerated bone production in oral surgery. 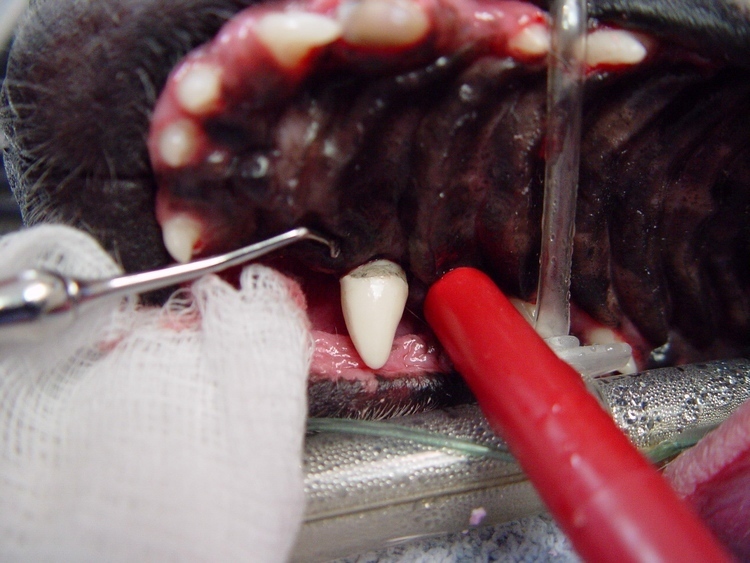 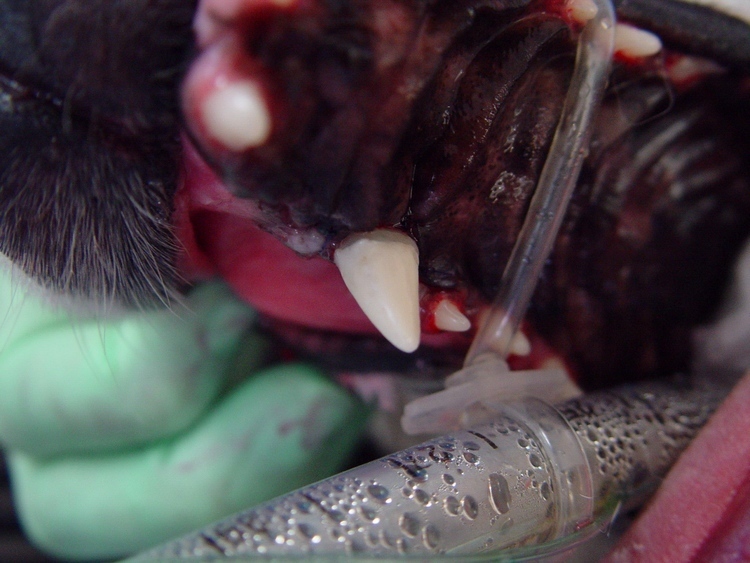 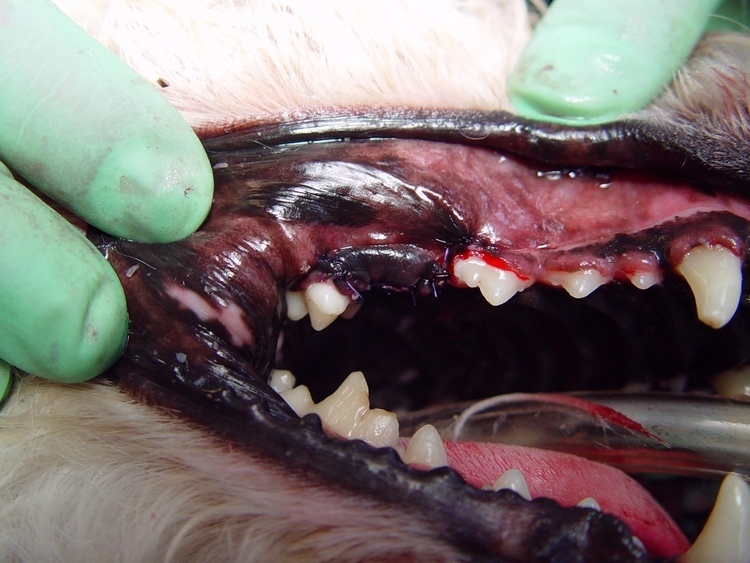 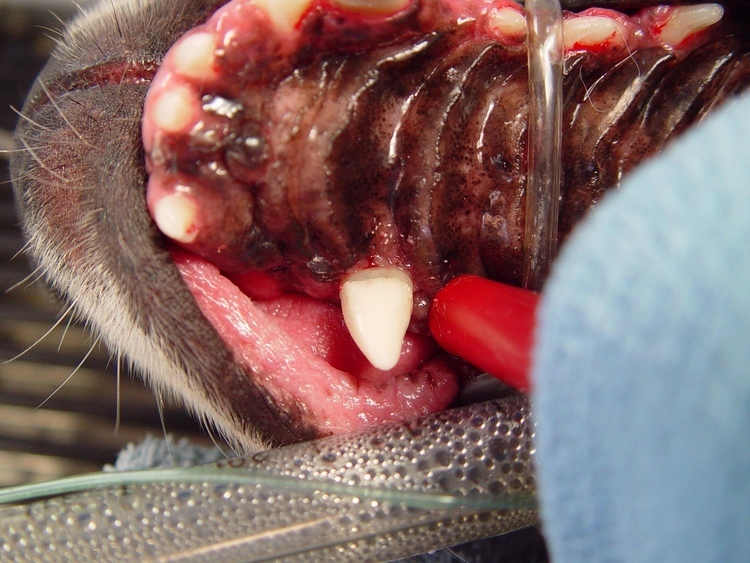 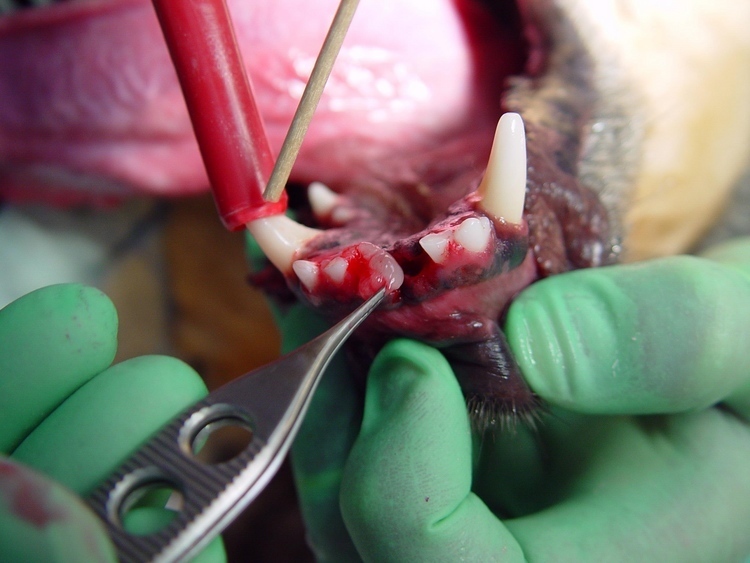 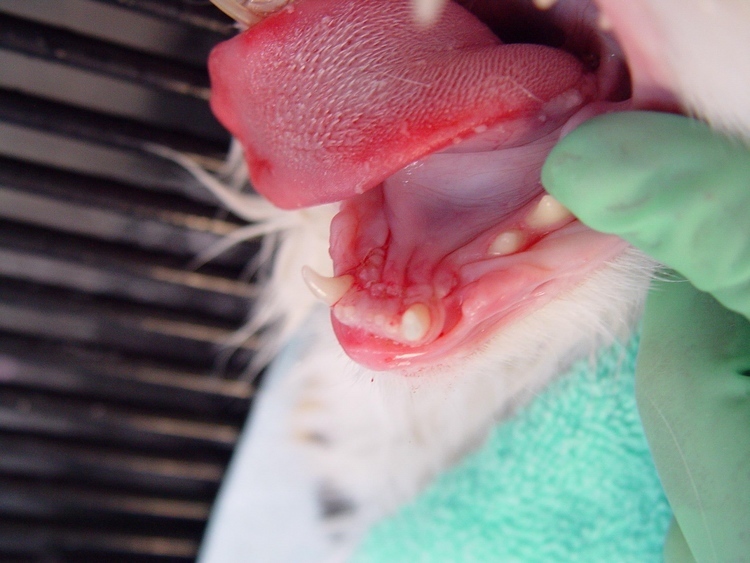 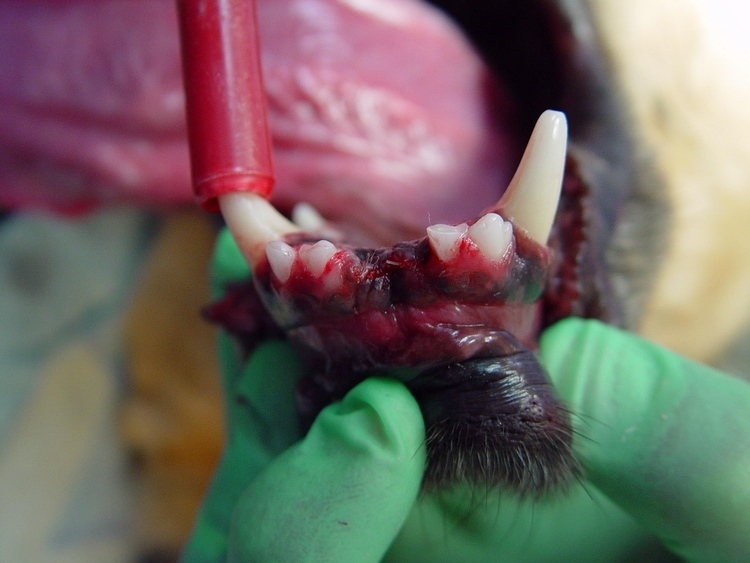 Most oral surgery in veterinary medicine does not utilize bone grafting procedures. 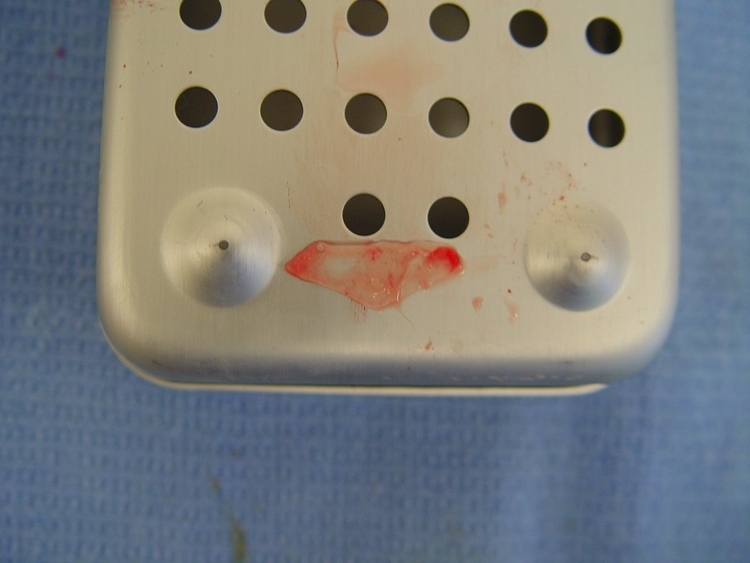 Not only do we utilize bone grafting techniques but we also incorporate second generation platelet concentrate which 'jump starts' soft and hard tissue healing. 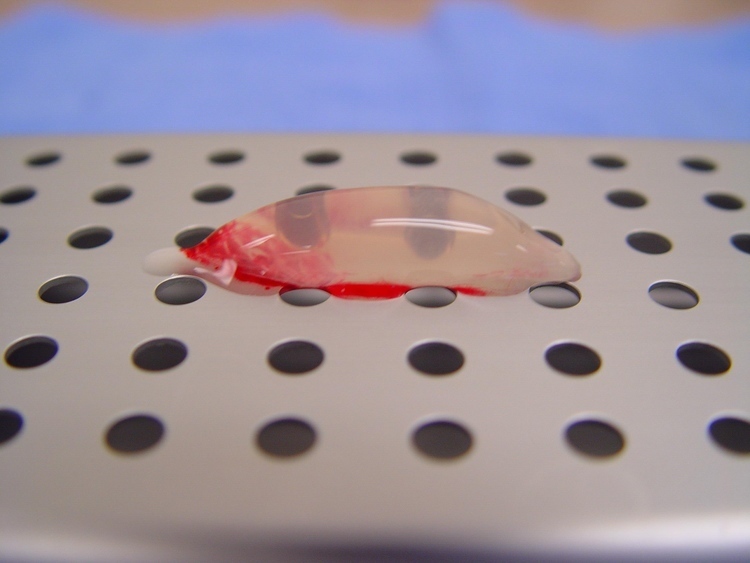 PRF (Platelet Rich Fibrin) is a relatively new step in platelet gel therapeutics. 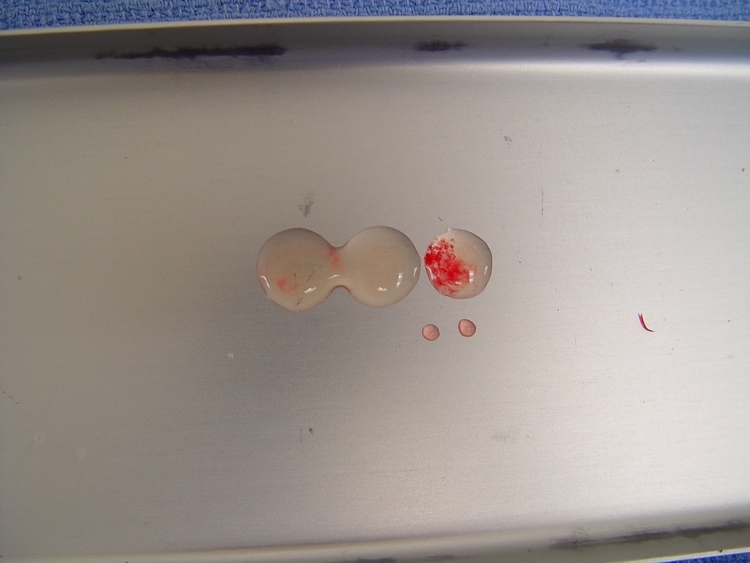 Platelets and leukocytes (WBC) are concentrated by centrifugation. 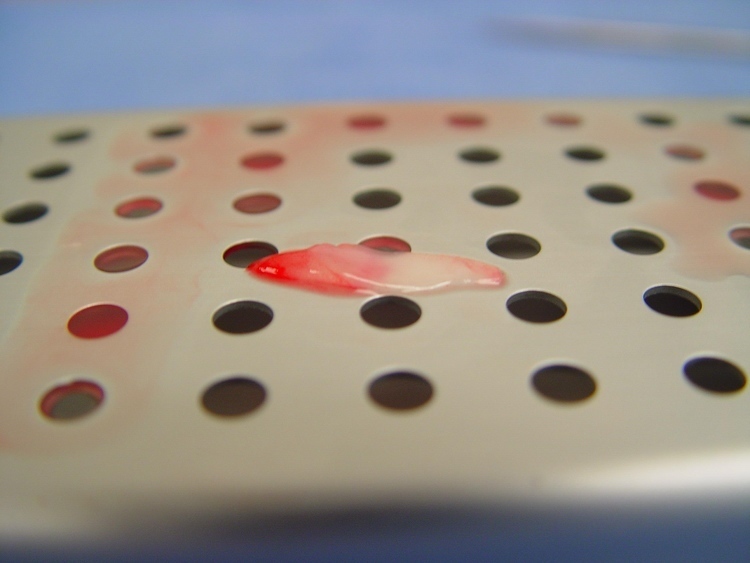 The remaining fibrin clot contains large quantities of growth factors and specific proteins. 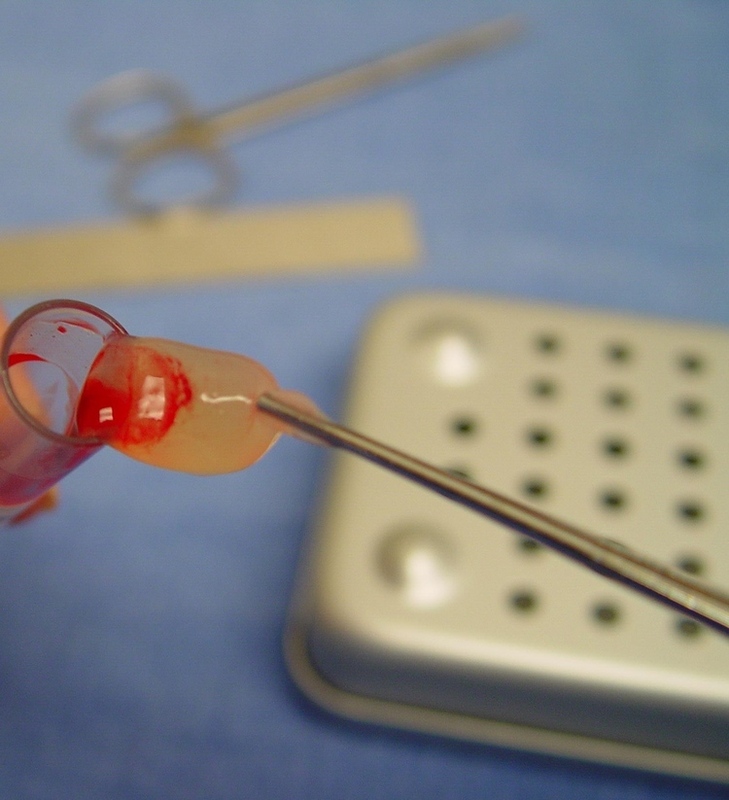 A blood sample taken from the patient is centrifuged at a specific timed RPM. 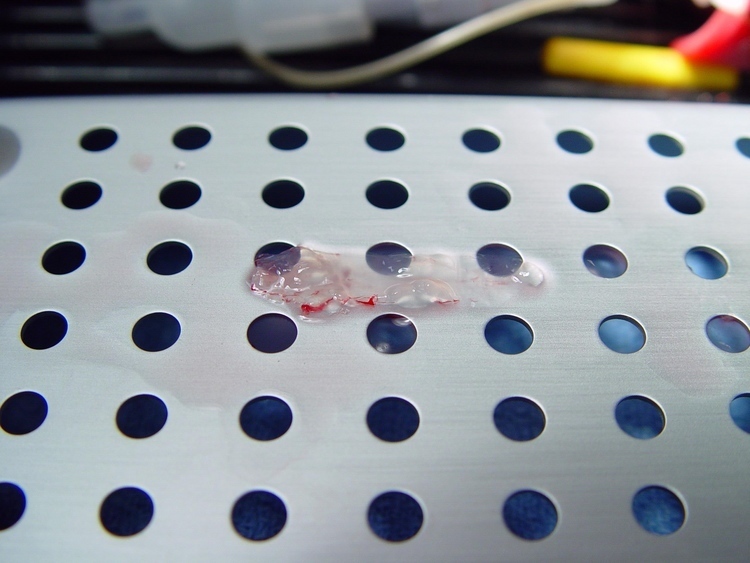 The PRF clot is removed and compressed on a sterile grid, resulting in an autologous fibrin membrane after the compression. 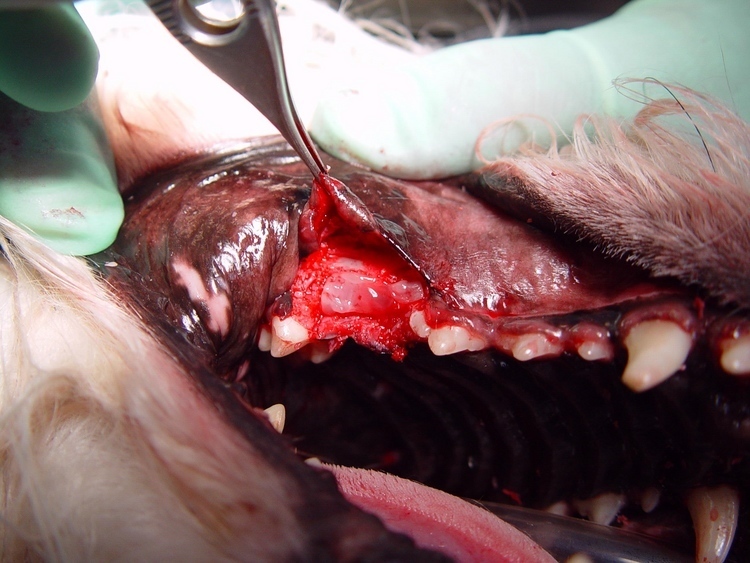 Fibrin membrane is used as a protective covering over a bone graft and can also be trimmed into small sections and mixed with a particulate allograft. 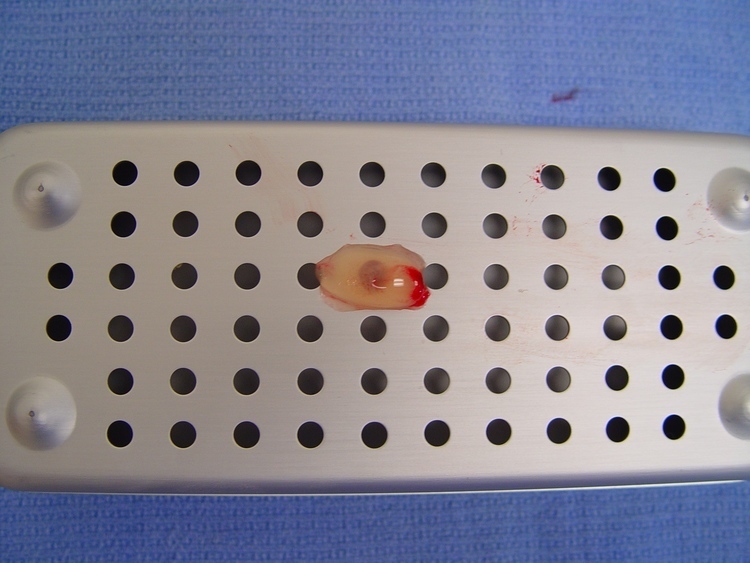 Protein rich exudate is harvested and utilized to rehydrate the bone allograft.